In this article, we're providing Types of car insurance that are absolutely legal to everyone with cheap quotes to save you money. But before then, let's quickly look at what insurance itself means from others perspective. The word “INSURANCE” simply means the protection of persons or objects against risks. Business is full of risks, even life itself is prone to risks. Man is faced with many risks in his daily activities, some of these risks that are inevitable are controllable while others are not, some are man-made while others are not, etc. In a man's bid to reduce these risks that face his daily activities, man signs insurance contract with insurance companies for the protection of his life and property against the insurable risks. Yeah, that's really a very simple explanation and why man needs to insure his car under motor vehicle insurance companies. Having said that, you may have known the best insurance company to sign a contract with but now the question is: do you really know the types of car insurance to insure your vehicle under? If you have a car and are looking for best insurance companies with cheap quotes to save you money, here are the 4 types of car insurance that you can insure your car under with the best policy that protects you at the right price. To avoid careless driving, protect road users, accident, damage, loss, of motor vehicles, it's legally compulsory for car o to insure them under the right type of car insurance. This type of car insurance attracts lower premium and is a protection not for the owner of the vehicle insured but the third party against damages, injuries, etc. 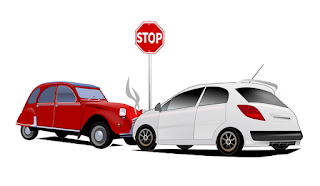 If the vehicle insured involved in an accident, the insurance company will not indemnify the owner of the vehicle but the owner of the car or property or life involved in the accident. Under this type of car insurance, the owner of the vehicle insured is the first party, the second is the insurance company while the third party is the person who suffers injury or damage of his property and who receives compensation. The policy covers liability for death or bodily injury to third parties in accordance with the requirements of the Car Traffic Act. This another type of car or motor insurance that has all the qualities of the third party only and goes further by covering damage of the vehicle by fire and theft(if stolen). This motor vehicle insurance is costlier than the third party only and cheaper than comprehensive car insurance. This is yet another type of car insurance that attracts a higher premium and protects the owner of the vehicle against possible damage by accident, fire, theft, and even covers the third party. The insurance company accepts liability against any justifiable loss and indemnities the owner the vehicle accordingly. Now you know all the types of car insurance to insure your vehicle under, make a choice today and go to any car insurance provider nearest to you to get yourself insured. We hope the above information helped you to better understand the various car insurance companies to sign a contract with. Howdy! Thhis is kind of off topic but I need some advice from an established blog. I'm thinking about making myy own but I'm not sure where to start. If you have a little knowledge of coding, setting up your own blog is very simple. I suggest you should go with wordpress.com. Thanks for your encouraging comments. Keep visiting. website which offers these kinds of data in quality? no question very shortly it will be renowned, due to its feature contents. are fastiɗious in support of new users. like you wrote the e book in it or something. I think that you can do with some p.c. or go for a paid option? There are so many choices out there that I'm completely overwhelmed ..
have received right here, really like what you're stating and the best way by which you say it. you. This is really a terrific website. have you share some stories/information. I know my audience would enjoy your work. found most people will go along with your views on this web site. just excellent and i can assume you're an expert on this subject. with forthcoming post. Thanks a million and please keep up the enjoyable work. Hi there, just became alert to your blog through Google, and found that it's truly informative. this useful info with us. Please keep us up to date like this. A very big thanks to you all.